Citing weather, sponsorship and attendance issues, the group that organizes Vancouver's St. Patrick's Day celebrations says it will take a new tack in 2017. If you were hoping to attend the St. Patrick's Day parade in Vancouver this year, don't bother collecting four-leaf clovers: you're out of luck. CelticFest, which organizes the parade, says frequent weather challenges and declining sponsorships over the years have led to the organization cancelling the 2017 edition. "It really just comes down to the fact that we want it to be something that's exciting, brings people downtown and is something people are going to remember," CelticFest president Alan Cosgrave said. "We just felt in the last couple of years the parade hasn't quite lived up to its billing. It's been a little bit of a disappointment." Cosgrave says the last few years have not seen great attendance either, which he says could have been because of the time change the night before or concurrent rugby sevens play. Cosgrave says it will be the first time in 13 years CelticFest hasn't organized a parade for St. Patrick's Day. Instead, CelticFest has organized a two-day street festival at Robson Square. Musical acts, highland games, traditional and contemporary artists and a licensed area will be on offer on Friday and Saturday and other events will take place at theatres throughout Vancouver all this week. "Lots of fun for the family, lots of good performers," Cosgrave said. "We just want to see how the public takes that." 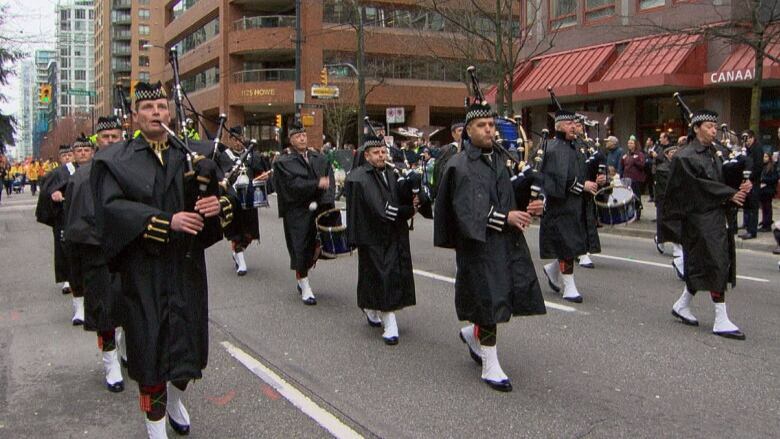 Cosgrave says CelticFest is trying to get future parades classified as civic parades by the City of Vancouver, which would help with the costs of road closures and policing. "There's no guarantee we'll get that, but that would help our budget significantly, and then we can look at ways to attract other organizations in as well," he said. Cosgrave says the organization has not closed the door to bringing the parade back in 2018. Street festival events March 17 and 18 begin at 11 a.m. PT.